I hear people say, a loving God would not send anyone to **** and I agree; you make that choice yourself! Re: The Ugliest .22 made. .44: You are right! That has to be one of the UGLIEST guns I have seen. But, the real winner is a handgun that made its short (thankfully) appearance some time in the mid 70s...the Rojak. 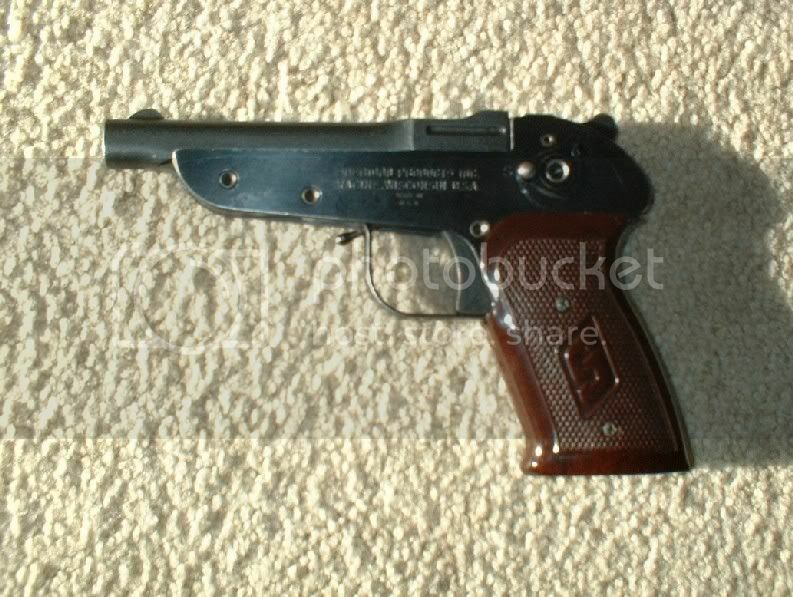 A 9mm self loader that had the accuracy and pleasing lines of a handful of mud, splattered on the side of a house. Actually, for just a minute, I thought the pic you posted was the Rojak. A guy by the name of Phil Engeldrum published a gunzine back then, and one of the photos used with his test of the Rojak was him, preparing to launch it manually downrange, with the captioned opinion that THIS was the best way to improve the gun's accuracy. Quick! Take three or more aspirin with the medicinal libation of choice, and lay down in a dark, quiet room until that feeling goes away! I guess "pretty is as pretty does" might just apply in this case. When I read the thread title I expected to see a picture of a P-22!